Hepatosis dietetica in pigs is related to Vitamin E and Selenium deficiency. 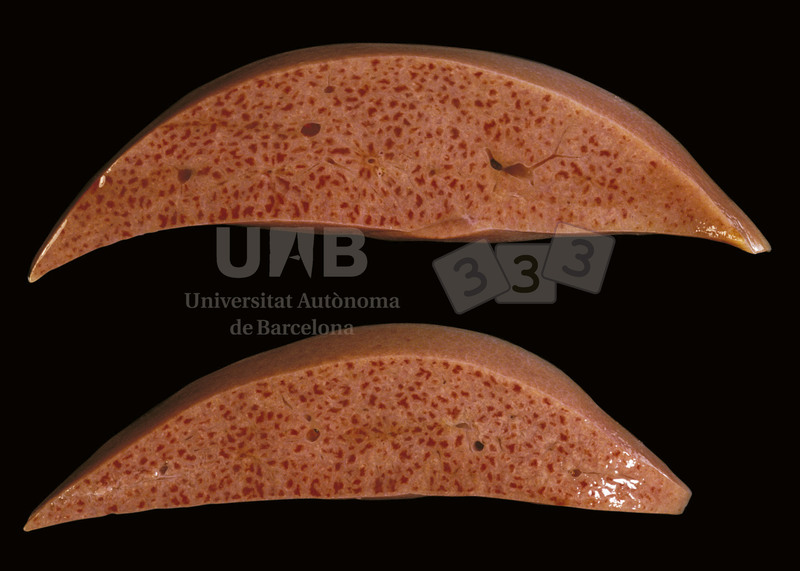 It produces necrosis and congestion of centrilobular areas of the hepatic lobules (red dots in the liver of the picture), giving the gross appearance of a red spot network. Gastric ulceration also produces centrilobular hepatic necrosis due to anemia.